Jim Robbins is a dead man, and he knows it. He's fought Yankee and Pawnee, fought for the love of two very different women, fought for his very survival. Now, as the scenes of his life flash before him, his greatest struggle is about to begin. Wounded in a railroad explosion, Jim reviews those moments that shaped him. From the inequities of the Antebellum South, to the horrors of the American Civil War, to the juggernaut of westward expansion, he played his part in the events that forged a nation--and not always for the better. In his debut novel, Marc Graham explores what it is that defines a life. Is there meaning and purpose, or is it all just a series of accidents? Is a man simply the victim of circumstance, or maker of his own destiny? 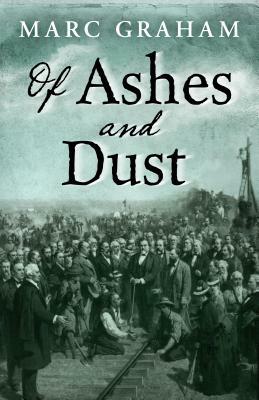 Perhaps most important, do his choices and actions survive him, or is his life but a stirring of ashes and dust?